You will enjoy watching this sharp, detailed, FullHD resolution television. Its hardworking 200Hz CMP processing system offers perfectly sharp images even in exciting and dramatic events. 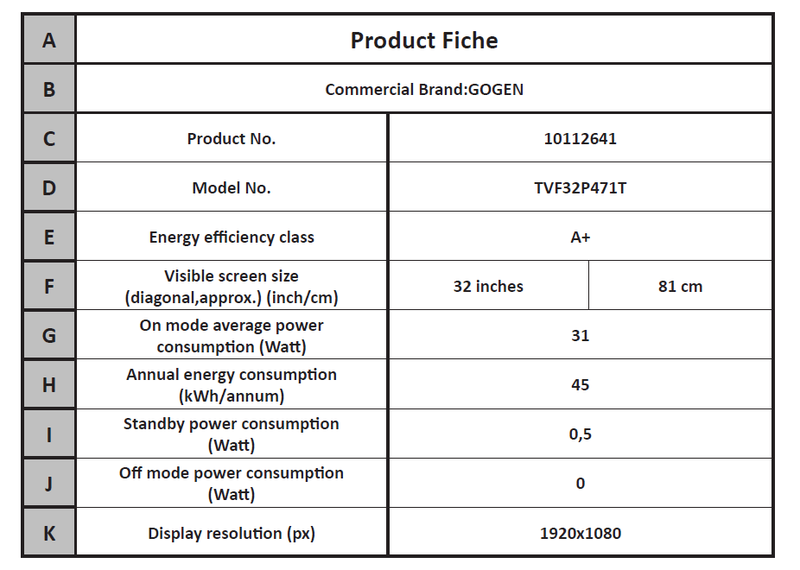 Equipped with the latest tuner and low power consumption, this Gogen TVF 32P471T television is a great investment for years of entertainment with minimal operating costs. The Gogen TVF 32P471T will save you further investment after the planned transition to the new DVB-T2 standard in 2020. This TV has been tested by experts from Czech Radiocommunications. You will get the certification of this institution, so you can buy this television with certainty that you will not have to buy another tuner for compatibility. The device is fully prepared for the future.